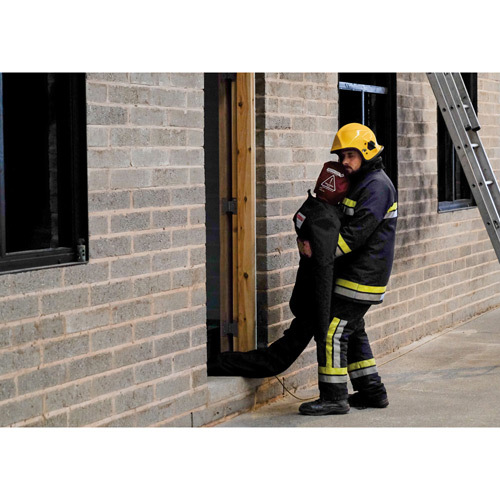 The General Purpose training dummies from Ruth Lee are the most popular models for the common rescue scenarios such as working at height, confined space, USAR, RTA etc and general handling exercises. The durable dummies will be now produced with new flammable retardant polyester. This is more than four times tougher than the previous shell from canvas, so the new dummies are nearly indestructible. They are weighted to produce an anatomically correct weight distribution and the "feel" of an unconscious patient. Crucially, these training dummies totally eliminate the risk of pinch welts and bruising being inflicted on trainees, a common injury when using plastic bodied dummies which usually have hard limb joints – for example when a hard knee joint folds over the forearm of a trainee. Our training dummies have soft outer layers and have no hard joints – in fact you can forcibly wrap a knee joint around a trainees forearm with no risk of injury. 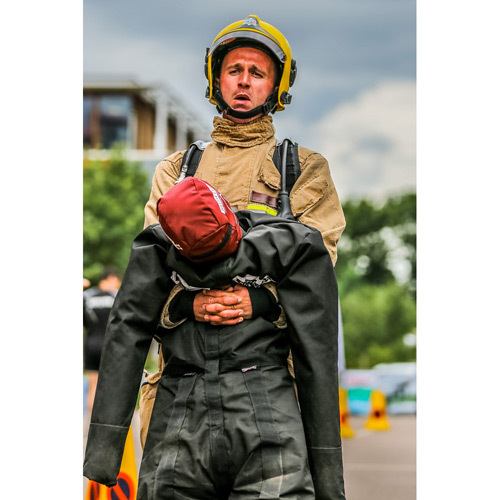 These training dummies are tough enough to be buried under concrete, have steel lintels, concrete slabs, trees or motor vehicles laid upon them to present a realistic scenario for rescuers. The supplied protective overall keeps the training dummy clean, and greatly increases the lifespan; they are produced using cotton/polyester woven fabric and are reinforced with high density polypropylene webbing in identified high stress areas. The ends of the arms are further protected with Nylon reinforced PVC. 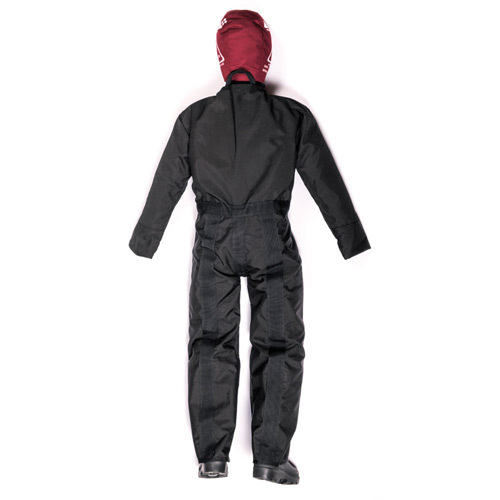 The machine washable overalls are fitted to all sizes of dummy. 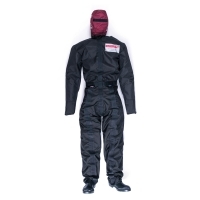 The General Purpose training dummies can be used in temperatures up to 100 °C. 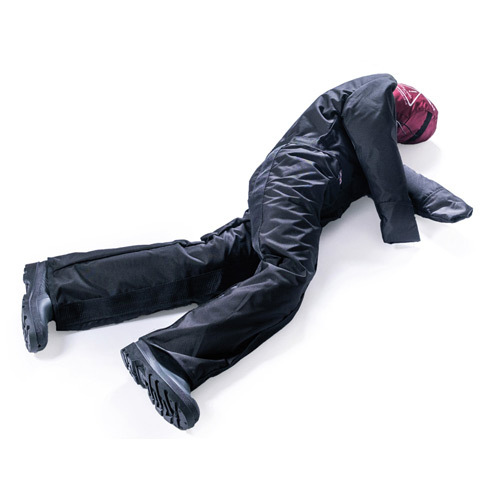 All training dummies of 20 kg and over are supplied complete with Wellington boots. The boots protect the legs if the dummy is dragged along the ground. 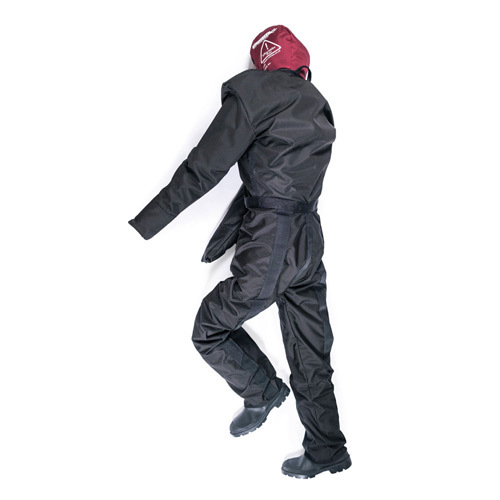 The General Purpose training dummy is ideally suited for "dry" rescue conditions. If it gets wet it needs to be hung in a dry airy place to dry before storage. Super Übungspuppe. Haben lange noch einer geeigneten gesucht und für uns die richtige gefunden. Sehr gute Puppe für Übumgen mit Personenrettung. Ist auf jeden Fall zu empfehlen.